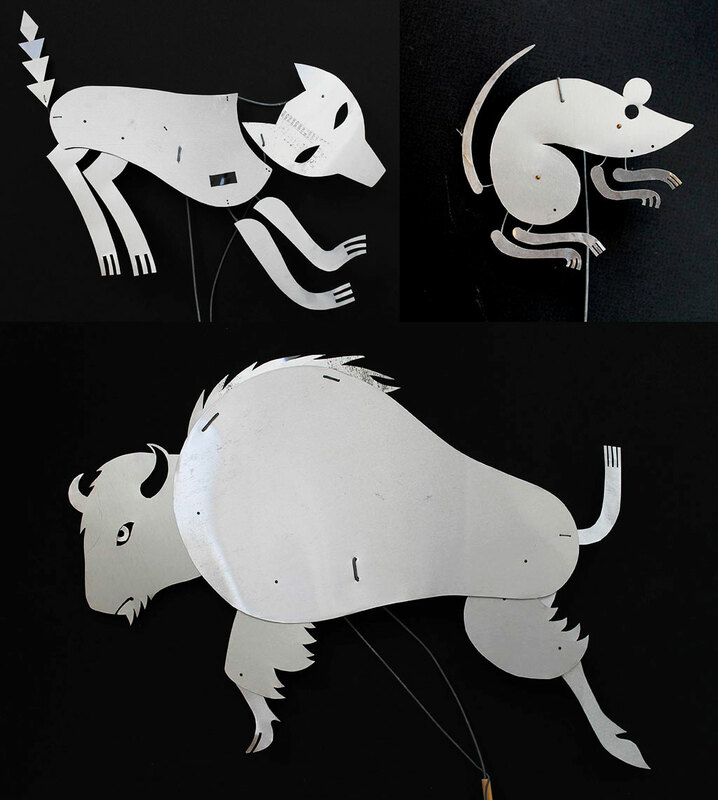 This class will work with aluminum flashing, wire and dowels to create shadow puppets with moving parts. We will be using knives and materials with sharp edges. Familiarity with knives and tools is required. Bring: Xacto knife, masking tape, small metal files, and sandpaper, if you have these items. Otherwise they will be provided.